Home›News›Member News›Watch out! National Youth Training Choir are taking over our Instagram! Next week, we’re handing the keys to the Music Mark Instagram account over to the National Youth Training Choir! From Friday 12 April until Friday 19 April, our Instagram feed will bring you images and videos from the choir’s Spring course, taking you behind the scenes for a look at rehearsals, musicianship training, concert preparation, social activities and of course concert day itself. 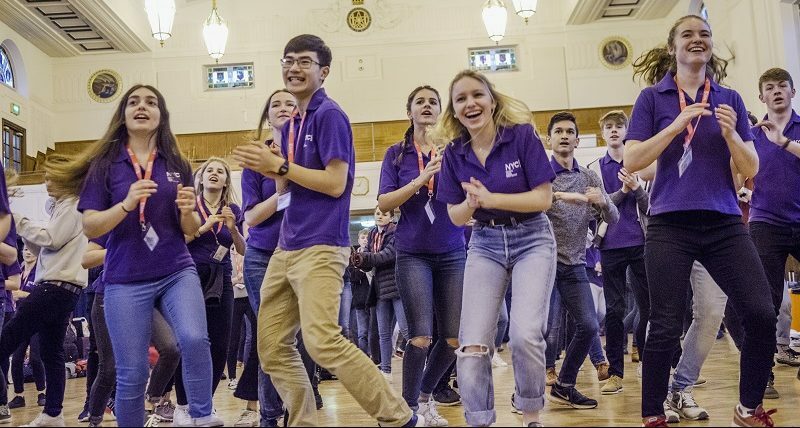 The National Youth Training Choir is a mixed-voice teenage ensemble, with members in School Years 9-13, and is part of the wider National Youth Choirs organisation (NYCGB). Auditions are held in the Autumn each year at locations nationwide, and singers who are accepted can take part in up to two courses in the following Spring and Summer school holidays. There is generous financial assistance to ensure that children from all backgrounds can take part, with one in five members awarded some level of support. This year, the Spring course is being held at Rossall School in Lancashire. The choir is preparing a programme of music based on the theme of discovery, including works by Claudio Monteverdi, Johannes Brahms and Eric Whitacre, and arrangements of songs by Kate Rusby, Elton John and Muse. The course concludes with a public concert on Friday 19 April at St George’s Hall in Liverpool, for which £5 tickets are available for U25s online now – you can also WIN two tickets for an adult and an U25 by emailing marketing@nycgb.org.uk – we’ll select the winner by Wednesday 17 April and let you know how to claim your tickets. Music Mark’s Instagram is a platform for Y ME?, our newsletter for young people, by young people. Contribute to the next issue or sign up to the mailing list!